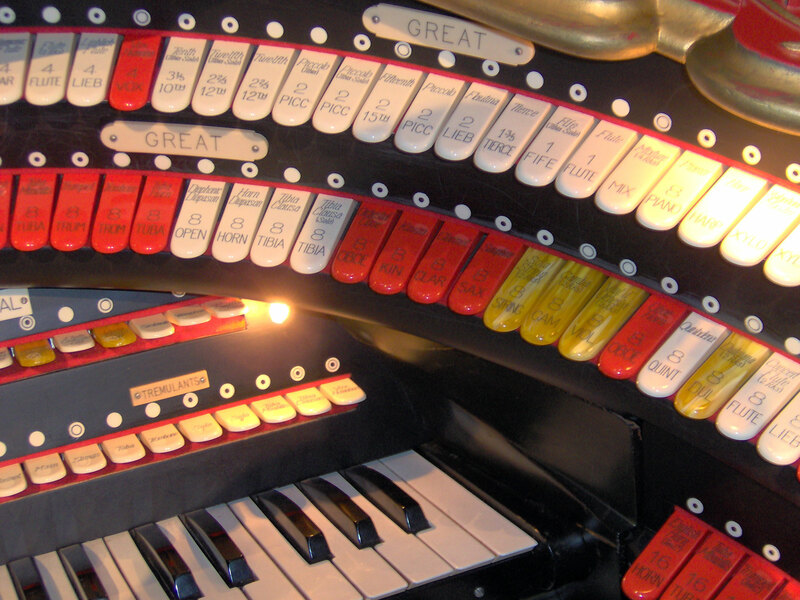 Big Bertha! This is the name those who know her have affectionately given to this, the only red and gold leafed four manual Publix 1 style WurliTzer Theatre Pipe Organ in existance, installed at the magnificent Alabama Theatre in downtown Birmingham, Alabama. 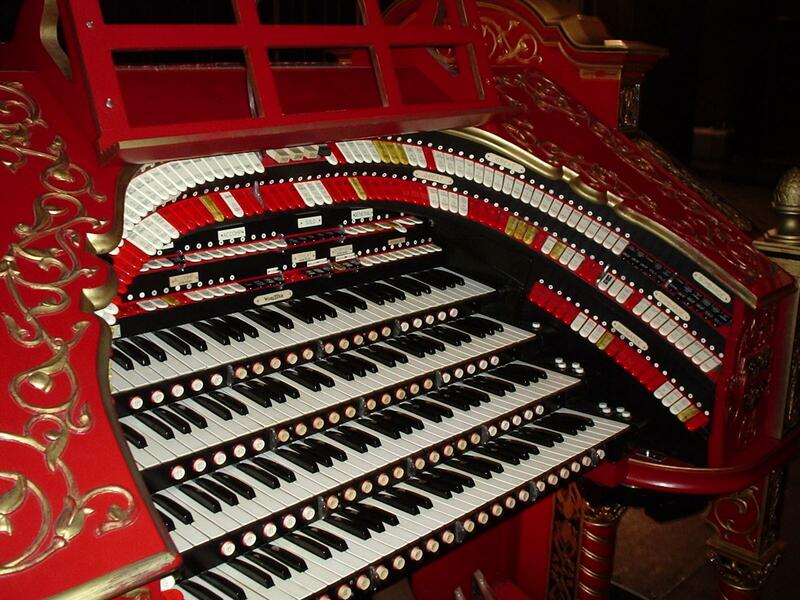 The Alabama Theatre Pipe Organ is WurliTzer Opus 1783. 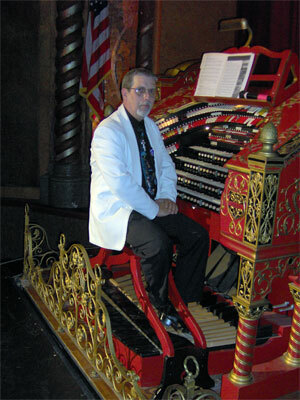 The legendary theatre organist, Jesse Crawford, laid out its design for use in deluxe venues for the Publix Theatre chain, thus the designation by WurliTzer as Style Publix 1. The basic design specification included four manuals, twenty ranks, eight sets of tuned percussion units, and all the sound effects needed to accompany silent movies. 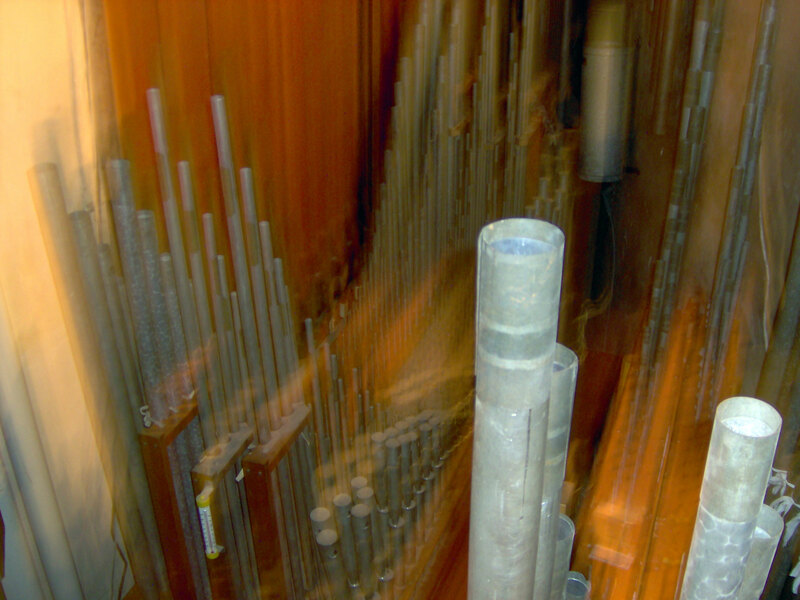 Eight additional ranks of pipes have been added to expand the tonal capabilities of the organ, making a total of 28 ranks with a total of 2,008 pipes. 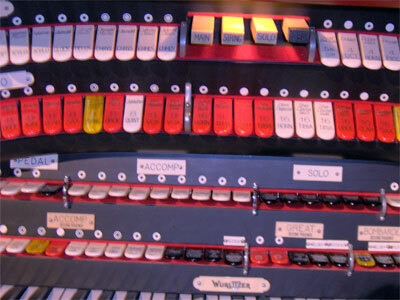 The back rail of Big Bertha's keydesk. 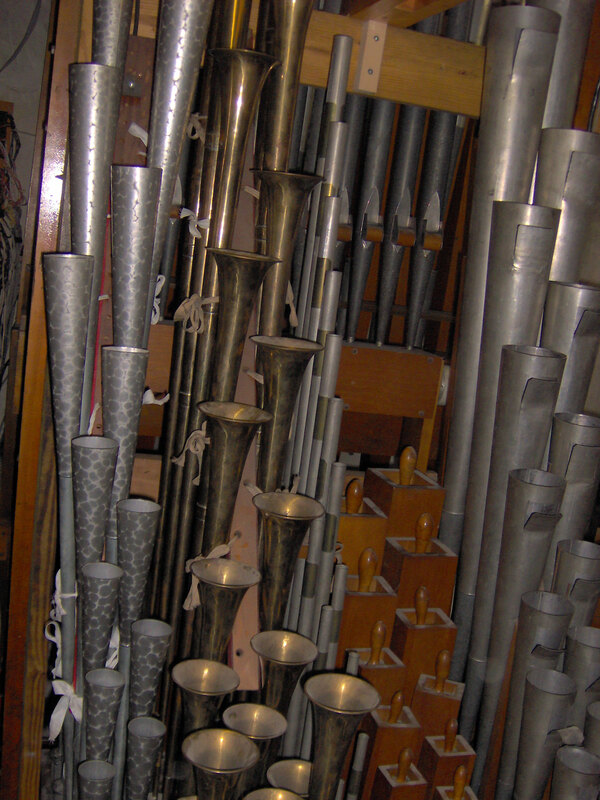 The left bolster and endblock. The right bolster and endblock. 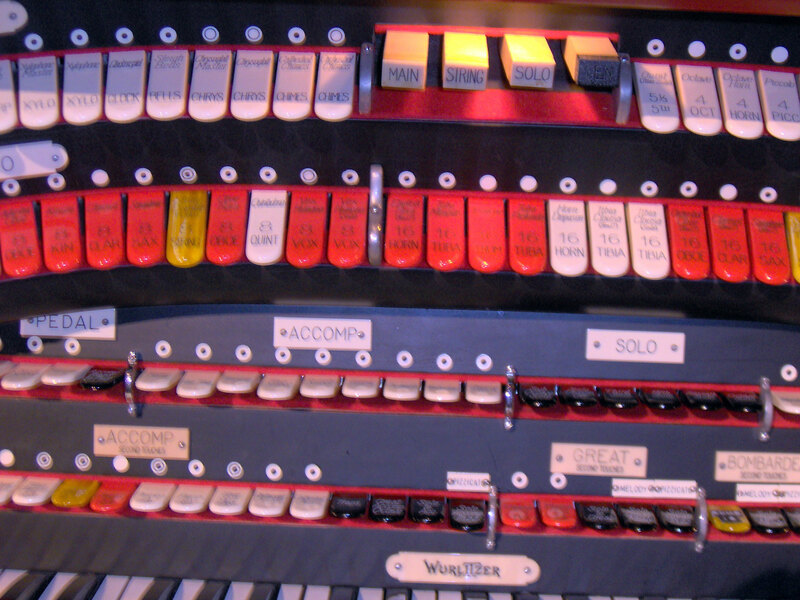 The following pictures, as well as the two large shots of the console above, were taken from the Library of Congress on their American Memories Catalogue of Built In America Pages. To see the complete collection of photographs from which these were taken, click here. The marque of the Alabama Theatre. 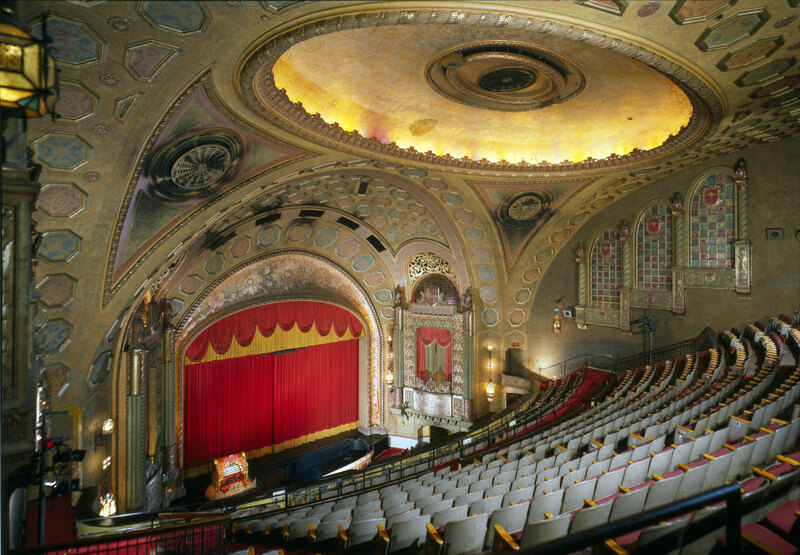 The Alabama Theatre opened on December 16, 1927, and was named the "Showplace of the South" by the movie vanguard Adolph Zuker. The theatre was once a part of the Paramount Theatre Chain. Numerous stars of Broadway and the Silver Screen have appeared on the stage, such as, John Barrymore, Roy Rogers, and Tallulah Bankhead. 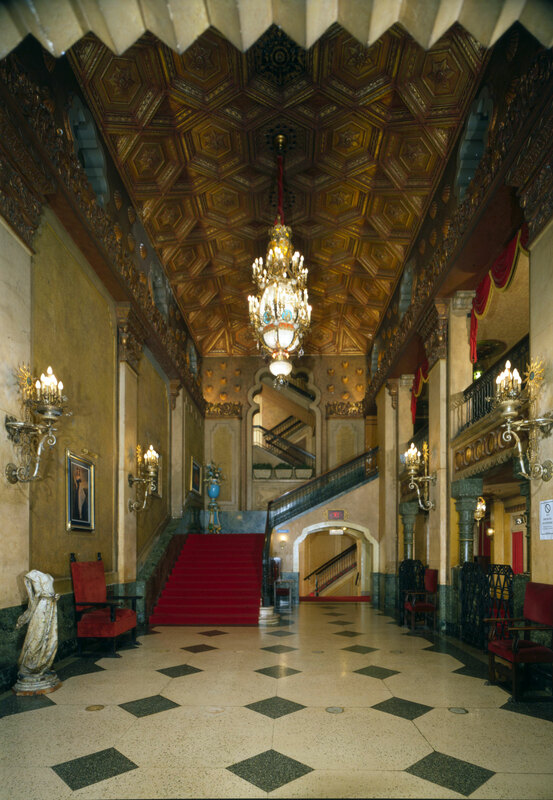 The lobby of the Alabama Theatre. 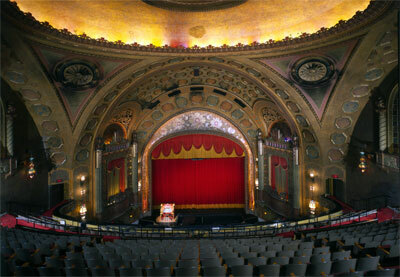 The Alabama Theatre is five stories tall and seats 2200 people. 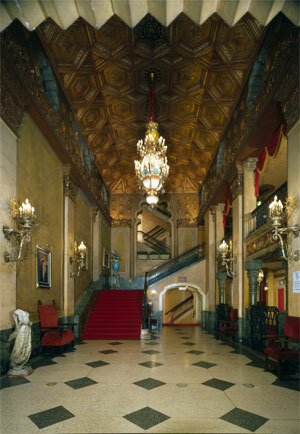 The seats are divided amongst the main floor, mezzanine, and balcony. The architecture is "Spanish/Moorish" and the predominant colors are red, green, and gold. It is lit by thousands of light bulbs of red, blue, amber, and white. The beautiful auditorium of the Alabama Theatre. 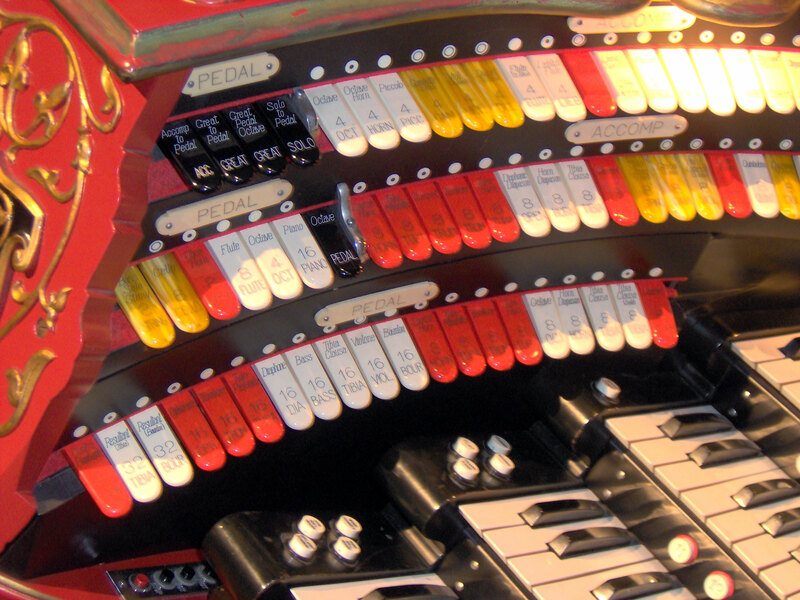 In 1987, the owners declared bankruptcy and the theatre was purchased by a non-profit corporation which has turned the classic theater into a performing arts center. 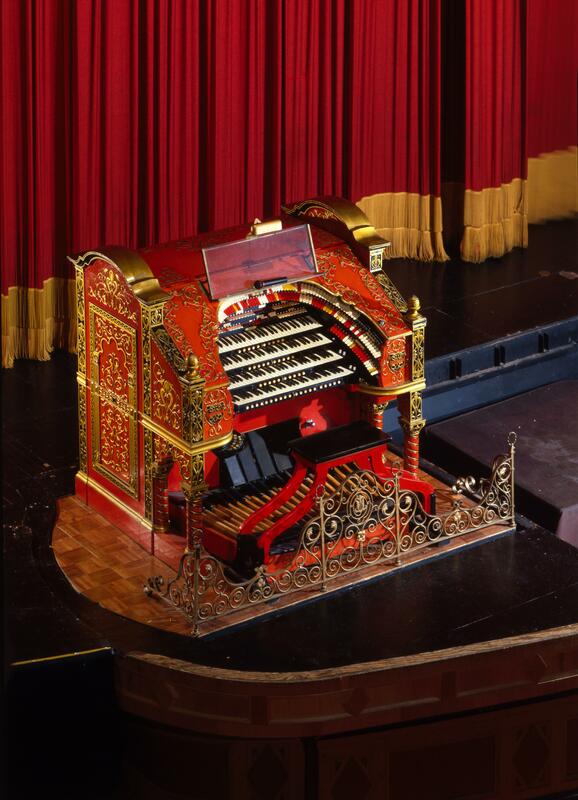 The Alabama Theatre for the Performing Arts now showcases live shows and even a few films. 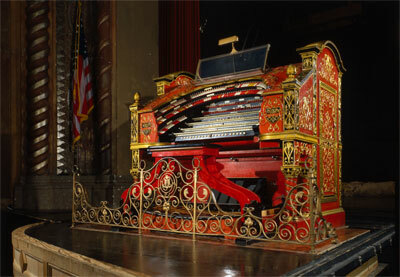 The auditorium of the Alabama Theatre. The theatre was designated the state historic theatre in 1993 by Act no. 93-26. 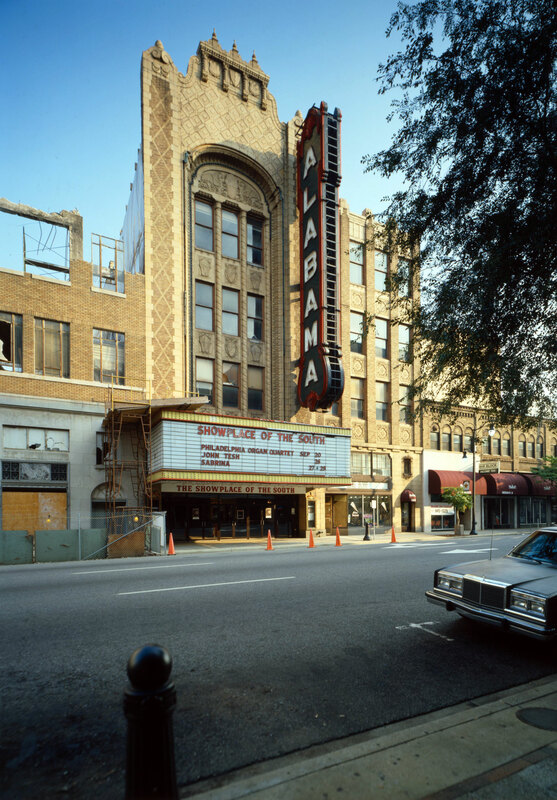 In 1998, the Alabama Theatre underwent a complete front door to back door restoration. The work was done by EverGreene Studios of New York City. In eight months, the theatre went from its look of faded grandeur to a sparkling 1927 look with all the gold leaf paint either replaced or cleaned. 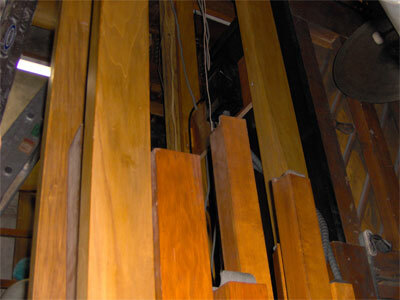 In addition to the restoration, new carpet was installed in the ladies lounge and new drapes were installed on the stage and organ chambers. One of Big Bertha's chambers. Another of Big Bertha's chambers. 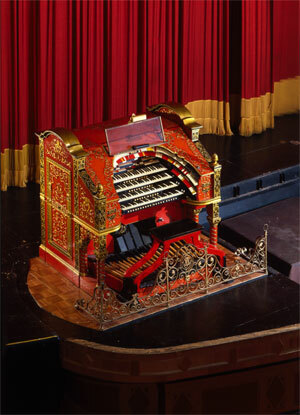 These recordings are courtisy of ATOS, from the Theatre Organ Music page. 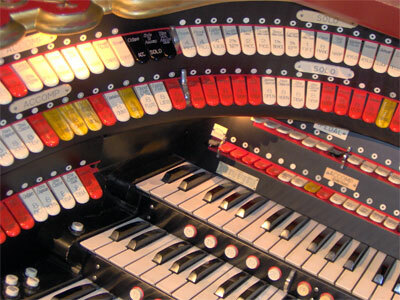 4/28 WurliTzer, Alabama Theatre, Birmingham, Alabama. Tom Hoehn at Big Bertha! On Septemeber 9th of 2006, Tom Hoehn played Big Bertha for a scheduled concert. 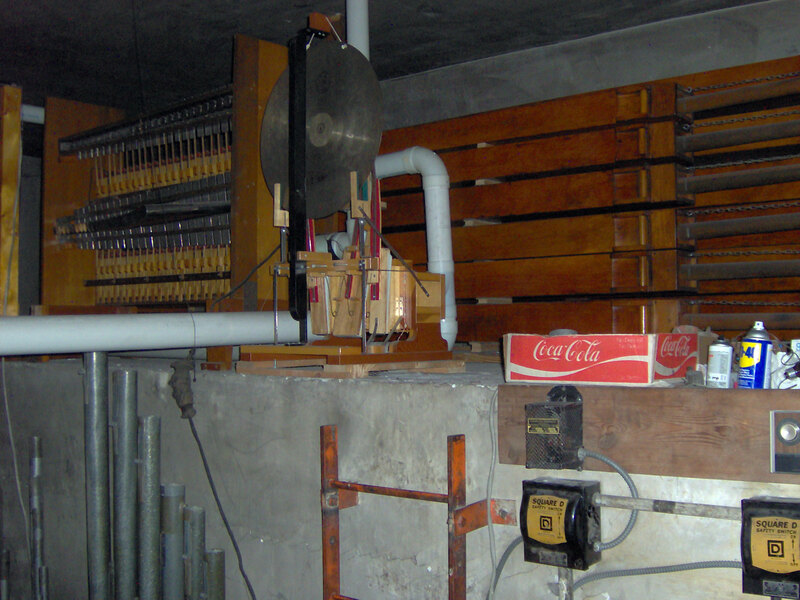 He sent the tracks via FTP to the Walnut Hill website wherein we spent the remainder of the weekend and the first part of the following week getting them on the site as 128KB/sec stereo WMA files. 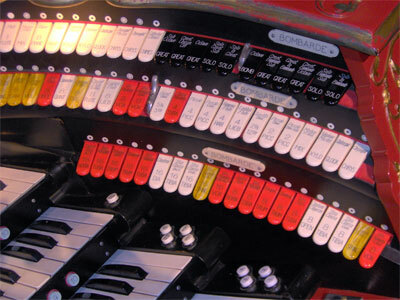 These tracks were recorded live on his Dell laptop computer using a Berhinger USB mixer and CAD condenser microphones. Playing time = 2:31, file size = 2.34MB, bit rate = 128KB/sec. Playing time = 4:01, file size = 3.71MB, bit rate = 128KB/sec. Playing time = 5:26, file size = 5.03MB, bit rate = 128KB/sec. Playing time = 4:43, file size = 4.37MB, bit rate = 128KB/sec. Playing time = 2:05, file size = 1.94MB, bit rate = 128KB/sec. Playing time = 12:03, file size = 11.1MB, bit rate = 128KB/sec. Playing time = 3:25, file size = 3.17MB, bit rate = 128KB/sec. Playing time = 4:20, file size = 4.00MB, bit rate = 128KB/sec. Playing time = 2:48, file size = 2.60MB, bit rate = 128KB/sec. There are some pops and crackles here and there that our software would not remove. 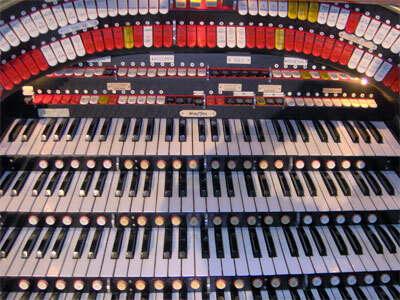 Nontheless, we found Tom's playing and the sound of this magnificent machine to be top-notch, indeed. 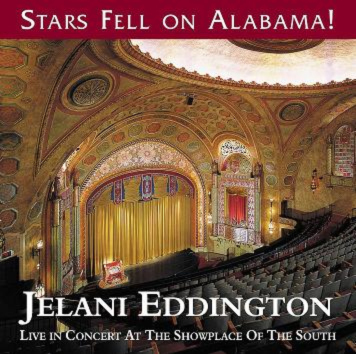 this album is a must-have!